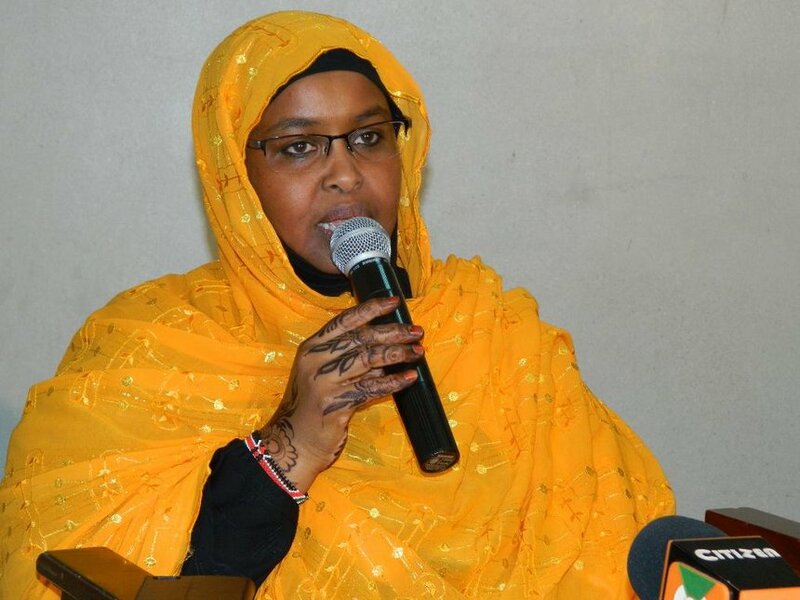 President Uhuru Kenyatta has relieved Principal Secretary for tourism Fatuma Hirsi of her duties. 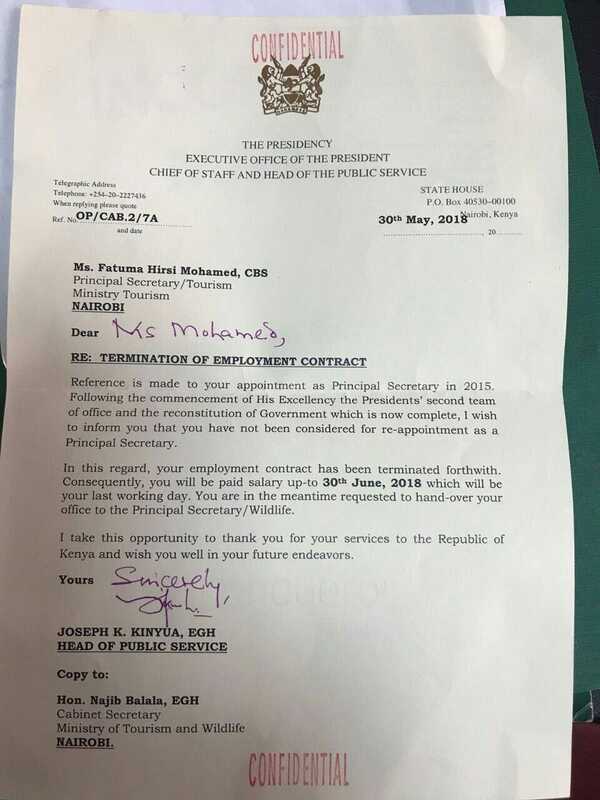 Through the Head of Public Service Joseph Kinyua, the PS was informed that the head of state did not consider her for a re-appointment. “In this regard, your employment contract has been terminated forthwith. Consequently, you will be paid salary up-to 30 June which will be your last working day. You are in the meantime requested to hand-over your office to the Principal Secretary Wildlife,” Kinyua said in a letter dated 30, May. He thanked her for her services and wished well.